We are where we are today as an industry, to a large degree, because of Charlie Trotter. To say that he was important would be such a disservice to his overall impact. It would be easy to talk about his palate and the food that he created with his staff. The food served at Trotter’s restaurant was always beyond great, it was mind blowing. Chef Trotter’s cuisine was not designed; it was created in the moment. A musician would refer to his style as improvisation. To improvise requires that an artist have complete control over process and technique and a deep understanding of the medium. This was a given with Trotter and those who executed his vision. As many times as you might choose to visit the restaurant you would always be surprised by new plates that reflected his ability to create in the moment. The American food scene changed dramatically as a result of Charlie Trotter. I would equate it to how the music industry changed after the Beatles released Sargent Pepper’s. Every other record after this landmark album was always benchmarked against the directional change that the Beatles introduced – the music was rich and full, just like Trotter’s cooking. In the food world, every star chef and restaurant used Trotter as the benchmark for what they did or were about to do. Chef Charlie Trotter influenced everyone. When you visit Le Bernadin, the French Laundry, Tru, Alinea, Toque, Eleven Madison, MOMA, Volt, Gary Danko, and any restaurant that maintains a “chef’s tasting menu” option, you can see the Trotter influence. 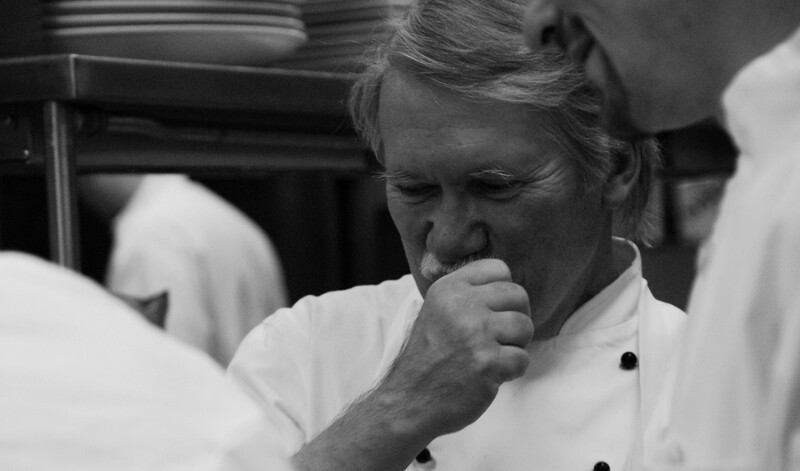 Yes, it would be easy to simply say that Chef Charlie’s food was what set him apart. What will live on as even more important is his influence on the dining experience and the role of restaurants in American culture. 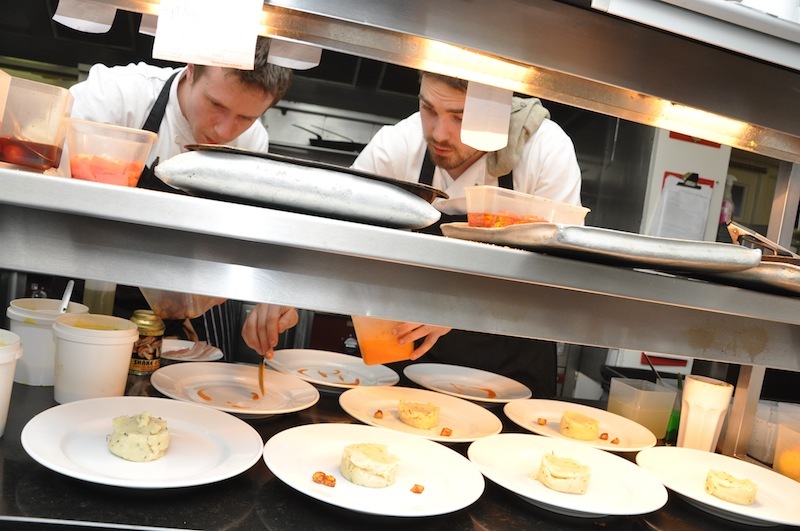 Trotter turned dining from an event to an experience. This experience was designed to be not just memorable but highly anticipated. The experience of dining at Trotter’s began when you were actually able to confirm a reservation. This would oftentimes take 3-6 months since they were booked solid for years. At the heart of whatever Charlie Trotter attempted was the word “excellence”. His fanatical approach towards this goal would include everything from sanitation to plate presentation, from his incredible selection of wines to his insistence on order and organization. Chef Trotter instilled in his staff this same commitment to doing everything well even when the details might not be apparent to the guest. Excellence was an over-riding method of operation. Trotter brought intelligence to food that was unique to the trade. By intelligence I am referring to the complexity and intense thought process that went into the inspired improvisation of his cuisine. Think about the accepted components of a quality dining experience today that either had their origin with Trotter or were brought to a level of diner expectation as a result of his use of these components in his restaurant: food as center stage, creativity as part of the experience, chef tasting menus, obsession with ingredients, educating diners, chefs tables in the kitchen, small plates, art on the plate, mainstream vegetarian fine dining, etc. etc. Charlie Trotter felt obligated to the food education of young people and would often invite classes of students to his studio dining room for an opportunity to learn about food, etiquette, and how to appreciate flavor. His generosity and compassion were well known and benefited many from coast to coast. My personal experiences with Chef Trotter included four wonderful experiences as a diner in his Chicago restaurant and various opportunities to hear him discuss his passion for excellence at conferences. To say that dining in his restaurant was enjoyable would be to understate the fact that every bite, every moment was a new memory that changed the expectations that I had of myself and how I approach food preparation and presentation today. I can remember the first time I was lucky enough to score the kitchen chef’s table at Trotter’s. He and his sous chef would watch how we enjoyed a course and then would push the envelope with the next. They prescribed food that fit our mood and willingness to try new things. I can’t remember how many courses we had – maybe 15 or so and each one was more spectacular than the previous one. The kitchen was a blur of energy with a cook in every nook and cranny of the space. Yet, among this intensity, the kitchen remained spotless, organized and professional. Trotter orchestrated a sense of confidence among his staff. Yes, Charlie Trotter the chef will be missed, but it is Charlie Trotter the restaurateur, the entrepreneur and the teacher who will be remembered and will continue to influence others for decades to come. Rest in peace chef, our thoughts and prayers are with your family and friends left behind.